China’s self-image is enormously different from how it is perceived by other regional actors. China’s ascendance in world affairs is one of the most significant and challenging issues in today’s international system. This underscores the importance of understanding China’s role in the world. However, when people debate about how to understand China and its policies, they often overlook the importance of perception, especially how Chinese see themselves and their relations with the rest of the world. In fact, there exists a huge perception gap between China’s self-image and how the outside world sees China. Lee Kuan Yew, the former prime minister of Singapore, used to say that he was sad to see “the gulf in understanding” between Chinese and Westerners. 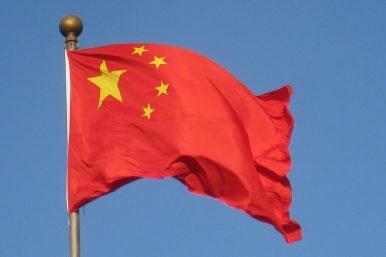 If we examine China’s recent territorial disputes with Japan in the East China Sea and with the Philippines and Vietnam in the South China Sea, we can clearly see such a “gulf in understanding” between China and its neighbors. In fact, it’s more than a gulf; the perception gap has grown as wide as the Pacific Ocean. Where people outside China tend to see China’s recent foreign policy behavior, such as the actions in South China Sea, as aggressive and bullying, many Chinese genuinely believe that China is a peace-loving country and see themselves as the victims. They believe that China’s neighbors have long been violating China’s sovereignty, rights, and interests inside the “nine-dashed line” in the South China Sea. For example, the Chinese have routinely used a three-phrase narrative to describe these violations in South China Sea: “海域被瓜分” (water territories have been carved up), “岛礁被侵占” (islands and reefs have been occupied), and “资源被掠夺” (resources have been plundered). A Google search of these phrases gives over 293,000 results. Chinese media has detailed reports on the foreign theft, such as how many islands and reefs are occupied by Vietnam and the Philippines and the number of oil and gas wells drilled by foreign companies. Many people also believe that there is an international coalition conspiring against China, with the United States facilitating this bloc. Thus, they see China as the victim: one country against many. Looking at China and Japan, amazingly, the two groups both view themselves as the victim and the other as the aggressor. Each party sees itself as peace-loving while the other state is revisionist or even militaristic. The Japanese government’s decision to nationalize the Diaoyu/Senkaku Islands in 2012 provides an example of mutual misperception between the two neighbors. Many scholars on both sides consider this incident as a turning point in bilateral relations; however, they have quite different interpretations of this event. The Japanese government’s explanation of the national purchase was that it wanted mainly to prevent Tokyo governor Shintaro Ishihara from purchasing the islands. Ishihara claimed he would send people to the islands and construct a lighthouse. Such action could have provoked a strong response from China and created huge diplomatic problems between the two governments. The Japanese government believed nationalization was a stabilizing action. However, China did not accept the Japanese explanation. Since the Chinese believe the Diaoyu Islands belong to China, nationalization by another country is unacceptable. Some Chinese concluded that Japan wanted to move from de facto administrative control to a more de jure exercise of sovereignty. Also, many Chinese suspect a Japanese conspiracy wherein Ishihara and the Japanese government secretly cooperated to provide an excuse for the nationalization. From their own experience, it is difficult for the Chinese to believe that the central government cannot control or influence the provincial or local governments. What is contributing to the perception gap? There is a long list of reasons and issues. For example, following China’s rapid growth of strength and power, there has been heightened suspicion and vigilance in the world, especially among its neighbors, toward China’s strategic motives. Many China watchers believe that Beijing is pursuing a sophisticated master plan for foreign policy and military strategy that aims to control the Asia-Pacific region. China’s ambition and capability have often been exaggerated. At the same time, compared with ten or even five years ago, Chinese people possess a different attitude toward diplomacy and foreign affairs. Due to China’s accomplishments in recent years, many Chinese, including policymakers, have grown more confident. Many believe that a rising China should not be shy about using its power to pursue or protect its national interests. The change of attitude has significantly affected people’s interpretation and judgment, especially during moments of tension and conflict. In this region, confrontations and disputes over minor issues have often been perceived and experienced by the parties involved as assaults on fundamental dignity, face, authority, and power. Some other factors, such as the historical legacy, education, the role of media and the policies of the United States, have also contributed the deepening gap in this region. The formation of perception and attitude in each country is also a long process. Therefore it is unrealistic to expect any quick change or improvement in understanding and perception between these countries. For people of this region, especially for policymakers, what it is very important, however, is to be aware and mindful to the existence of such a gap. In fact, being mindful of this gap should be a starting point for any serious discussion about policy issues related to China. This is important because national perception and understanding guide a country’s actions. Also, as the old saying goes, only when you put yourself in other people’s shoes can you see through their eyes. Zheng Wang is the Director of the Center for Peace and Conflict Studies at Seton Hall University and a Global Fellow at the Woodrow Wilson Center. Is China Changing Its Approach to Maritime Disputes? China may be shifting its strategy from "reactive assertiveness" to proactive engagement. Why Xi’s Ambition for China Is Good for the WorldChina's Cookie-Cutter Shangri-La SpeechChina’s ‘Shadow’ Network of International OrganizationsSoft Power vs. Salami Slicing: China's DilemmaWhy Are China's Neighbors So Afraid of Her?